The 2013 edition of the annual Rock on the Range festival was one of the biggest that organizers of the annual event have ever experienced. 2013 saw the annual event completely sell out. Seeing the success that the festival had in 2013, festival organizers have announced that the festival will now expand to three full days this year. The festival, which will run from May 16th – May 18th this year, will be headlined by three very big name acts. Those acts are Guns N’ Roses, Avenged Sevenfold, and Kid Rock. While the trio of aforementioned bands will headline the once again expanded festival (last year saw the festival expand to three nights) are big names in themselves, they won’t be the only bands to perform at this year’s show. Also scheduled to perform this year are: Seether, Five Finger Death Punch, Slayer, Staind, Motorhead, Chevelle, Alter Bridge, Mastodon, Black Label Society and Killswitch Engage among many others. 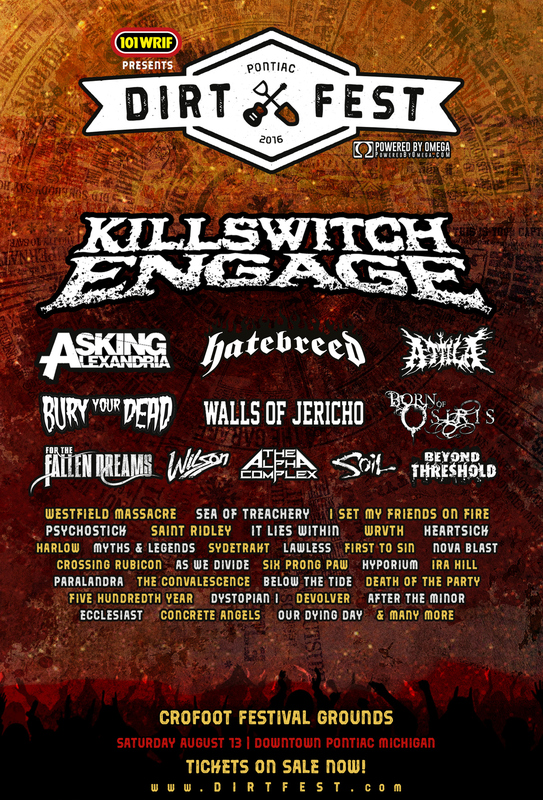 The complete lineup of bands scheduled to perform at this year’s ROTR Festival is listed below. Audiences will note that along with the lineup up some of the biggest names in the rock world, this year’s festival also boasts the return of the ROTR Comedy Tent. Jim Breuer, Jim Florentine, and a number of up-and-coming comedians will perform at the ROTR Comedy Tent. Weekend passes including Field General Admission, Stadium General Admission, hotel and VIP packages and a stadium four-pack go on sale Friday, January 24th at 10am ET. More ticket information is available online at http://www.RockOnTheRange.com. Additional information and updates on this year’s festival is available online at http://www.facebook.com/rockontherange and http://twitter.com/rockontherange. To keep up with the latest sports and entertainment news and reviews, go online to http://www.facebook.com/philspicks and “Like” it. Fans can always keep up with the latest sports and entertainment news and reviews in the Phil’s Picks blog at https://philspicks.wordpress.com.